I spent last Sunday afternoon in the VIP tent at the Cirque de Soliel! 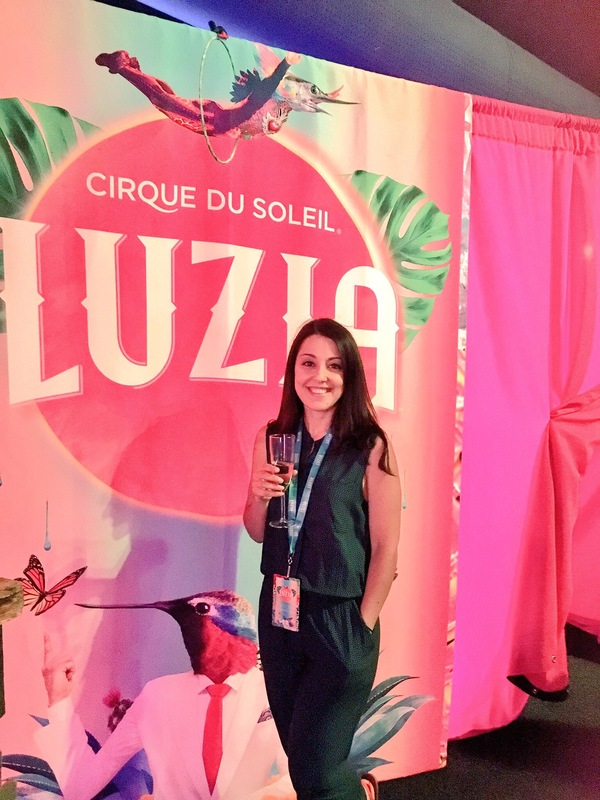 My bosses took the entire Serrano Imports staff to the Luzia show as a little staff appreciation gift. We were given our VIP passes and escorted into a dark tent filled with with cozy sofas, Mexican decor, hot and delicious hors d’oeuvres, and women with sparkling wine dresses (and I mean that literally, they had dresses holding glasses filled with sparking wine). After an hour or so of chatting with my coworkers we made our way to the main tent to enjoy the show. We were seated about four rows up from centre stage which made the costumes, dancing, and tricks all the more vivid. I was blown away by the strength and poise the was possessed by every person on the stage. It’s alarming what a human body can do if trained hard enough. Although the stunts were incredible, I fell for the beauty of the stage, costumes, music, and story. At the beginning of the show, the clown comes on stage and turns a key that opens and a magical world filled with wonder. Each act left me longing for a few more seconds of unadulterated bliss. 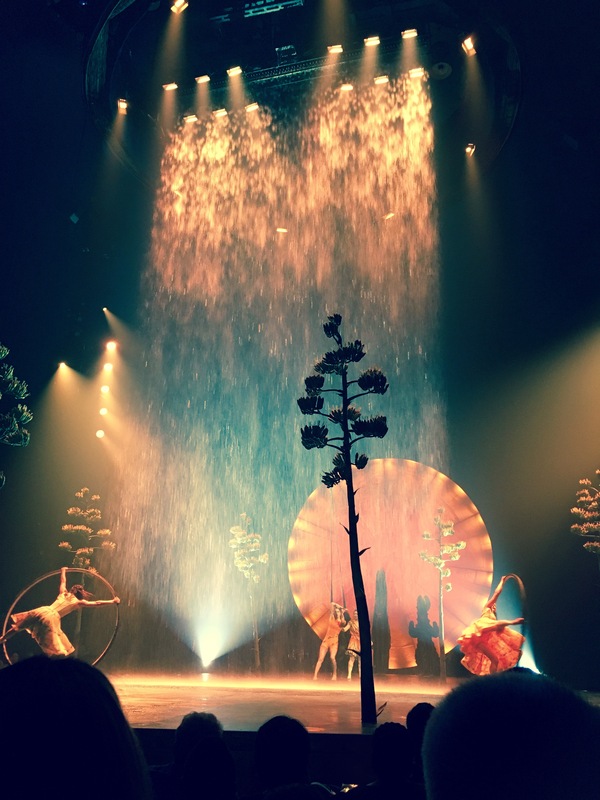 One of my favourite acts incorporated a man-made waterfall where the water actually depicted different things – flowers, fish, hearts, designs. It was incredibly stunning. Luzia made me believe in magic again. It left me feeling hopeful, young, and optimistic.